There are now many prepackaged potting soils available to horticulturists. More specifically, the number of organic prepackaged soils is rising as more gardeners embrace organic horticulture. Before prepackaged soils were available, horticulturists mixed their own soils from various ingredients. Although prepackaged soils may be convenient, there are still some major advantages to making an organic soil from scratch. If a soil is built from scratch, it can be customized for a specific crop. The grower also knows exactly what the soil is comprised of and what his or her plants are consuming. In other words, building a soil from scratch gives ultimate control to the grower. becomes. 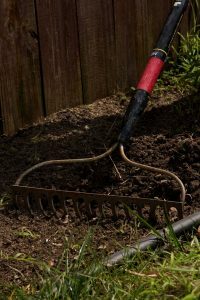 Perhaps the best way to get started building an organic soil is to first organize the ingredients into three categories: base ingredients, aeration ingredients, and individual organic ingredients. Worm castings are a favorite soil ingredient among organic horticulturists. They are a nutrient-rich ingredient chock-full of beneficial microorganisms. Worm castings are known to increase the soil’s nutrient content and improve disease resistance in crops. It is important for growers to look closely at the label before purchasing worm castings because there are many differences between worm casting products. In fact, many of the “worm castings” sold are hardly worm castings at all. Be sure to purchase “pure” or “100%” worm castings or you may end up buying a product with a lot of fillers and not a lot of worm castings. 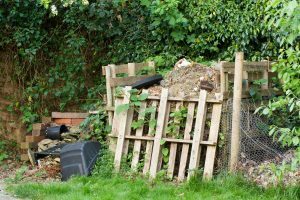 Compost can be purchased or created at home in a compost pile. When discussing compost as it applies to gardening, we are talking about aged and broken down organic material. Compost can be derived from many different sources, but, for horticultural purposes, compost is usually derived from plant material and/or animal manure. It is the base ingredient that is richest in nutrients and, therefore, compared to other base ingredients, less of it is used. 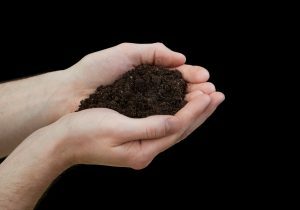 In addition to its high nutrient content, compost is brimming with beneficial microbial life. For an organic soil, these beneficial microorganisms are arguably the most important ingredient. After all, it is the microorganisms that are responsible for the further decomposition of organic matter, which equates to nutrient uptake and the stimulation of new root growth. Over the past ten years, coco coir has become a major component in prepackaged and homemade soil mixes. It is made from coconut husks, a by-product of the coconut industry, making it an environmentally friendly base ingredient option. Coco coir is revered for its ability to hold both water and air at the same time. Put simply, coco coir is simultaneously a good aerator and has good water retention. This unique quality is what has boosted coco coir to one of the most important soil additives available. When purchasing coco coir make sure to get a product that has been rinsed and/or treated for salt build up. Some of the coco coir products on the market have a high salt content, which can cause major issues for plants. Too many salts in the coco coir soil can cause a pH issue, which will then lead to nutrient lock out. Coco coir is one base ingredient that is not rich in nutrients. In fact, coco coir adds very little nutrient value to a soil. Sphagnum peat moss is probably the most popular base ingredient for organic soils. It has unique physical properties which allow for high moisture retention along with a high oxygen content. Like coco coir, the combination of water and air retention makes sphagnum peat moss ideal for stimulating and supporting root growth. Most prepackaged soils and homemade soils have sphagnum peat moss as the primary ingredient. In some cases, sphagnum peat moss will make up as much as 60-70% of the soil mixture. Although it contains more nutrients than coco coir, sphagnum peat moss is another base ingredient that has little nutrient value. Aeration ingredients are ingredients that add air holding capacity to the soil. These ingredients do not have much, if any, nutrient value. The sole purpose of these ingredients is to increase the roots’ accessibility to oxygen. Pumice is a mined volcanic rock and is naturally very porous. Pumice has the ability to add air pockets to a soil and can keep the soil from compacting over time. Unfortunately, pumice is quite heavy. This makes it expensive to ship and, therefore, pumice is rarely used in prepackaged or homemade soils. If available, pumice is the most environmentally friendly option for an aeration additive. Perlite is the most commonly used aeration ingredient for prepackaged and homemade soils. Perlite is volcanic glass which is expanded via extremely high temperatures. Perlite is light weight, which is why it has become so popular in the horticultural industry. Like pumice, perlite has the ability to increase the roots’ accessibility to air. 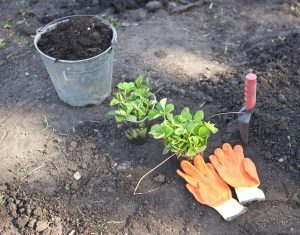 By using individual organic ingredients in addition to the base ingredients, a gardener can customize the soil to meet the needs of any particular crop. Blood meal is a very rich, fast-releasing nitrogen source. Fish meal is a great nitrogen additive that enhances microbial life in the soil and also contains a significant amount of phosphorus which helps trigger root development. Feather meal is a slow-releasing nitrogen source best used for plants that require high amounts of nitrogen over a three to four month period. Soybean meal is a slow-releasing nitrogen source. High nitrogen bat guano is rich in micronutrients, beneficial microbes, and nitrogen. High phosphorus bat guano is an excellent source of phosphorus. It is known to not only increase flower/fruit sets, but also their size, aroma, and flavor. Bone meal is an excellent source of phosphorus and is revered for its ability to promote strong root development. Bone meal is also a great source of calcium. Fish bone meal is a great source of both phosphorus and calcium. Rock phosphate is a slow-releasing phosphorus source that is commonly extracted into a liquid form to increase availability. Like bat guano, seabird guano is known to increase the amount of flower/fruit sets and their size. It is an excellent source of phosphorus and micronutrients. Kelp meal is a source of readily available potassium and a variety of micronutrients and plant hormones. Greensand is a slow-releasing potassium source. Generally speaking, greensand is used to improve a soil’s condition rather than boost potassium content. Langbeinite is a naturally occurring mineral that is water soluble. It is also a good source of potassium, sulfur and magnesium. Dolomite lime is a source of calcium, magnesium and is a great pH buffer for any soil composition, ensuring the soil’s pH doesn’t turn too acidic. Oyster shell provides calcium and also works as a pH buffer, helping to keep the soil from becoming too acidic. This soil amendment revitalizes trace elements and provides a foundation of minerals for healthy plant growth. Alfalfa meal is rich in trace elements, but it is the abundance of natural growth stimulators that has attracted the attention of organic horticulturalists. Building your own organic soil is a fun way to save money and to create a customized soil. When a horticulturist builds a soil for the specific needs of a crop, he or she will not only see enhanced growth rates, but also less nutrient deficiencies, diseases, insect infestations, or any other problems that may be attributed to insufficient diet. If you are growing plants that need an abundance of nitrogen, experiment with adding some of the nitrogen-rich organic ingredients and customize the soil. You may be able to boost flower and fruit production by increasing some of the high phosphorus or high potassium ingredients in the soil’s formula. Experimentation in the garden, especially with custom soil compositions, is an ongoing venture for hobby growers. Once gardeners begin the experimentation process by building their own organic soils, they are on their way to developing the optimal organic nutrition for their plants.